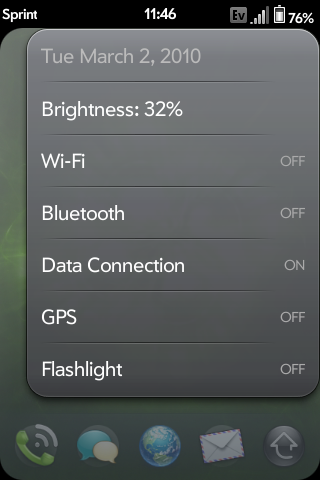 Adds on the device menu: brightness control, data, gps, flashlight. Removes from device menu: battery level, airplane mode. All credit to original patch creators, with special thanks to Jason Robitaille for Unified Diff Creator. This patch requires Jason's systoolsmgr service to function correctly.